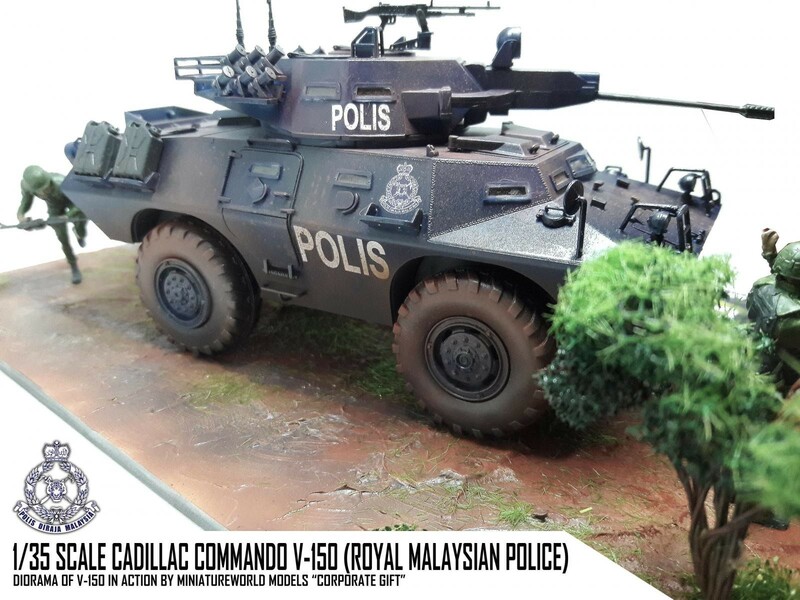 The main subject of the diorama is the 1/35 scale Commando Cadillac from Hobbyboss with 20mm cannon which was used by the Malaysian Police Unit during the early 70’s to the mid 80’s. 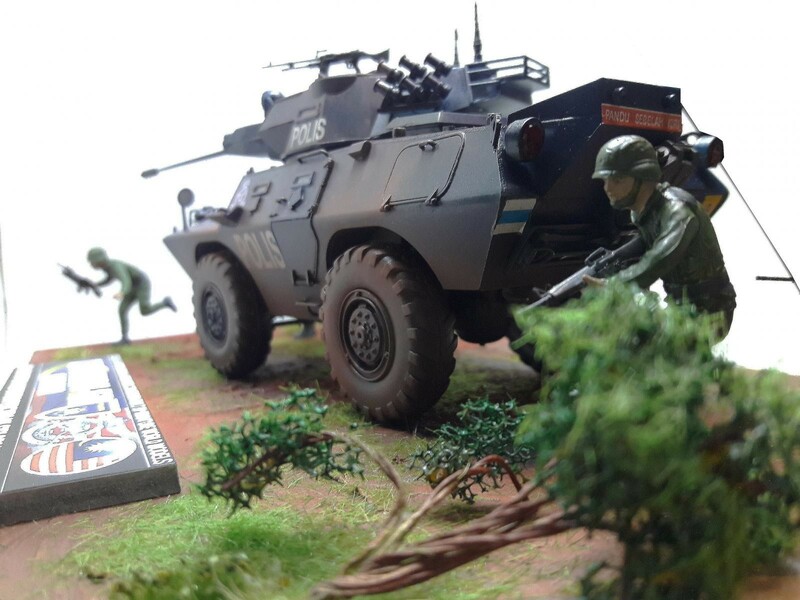 The V-150 was used during jungle operations against communist guerrillas. 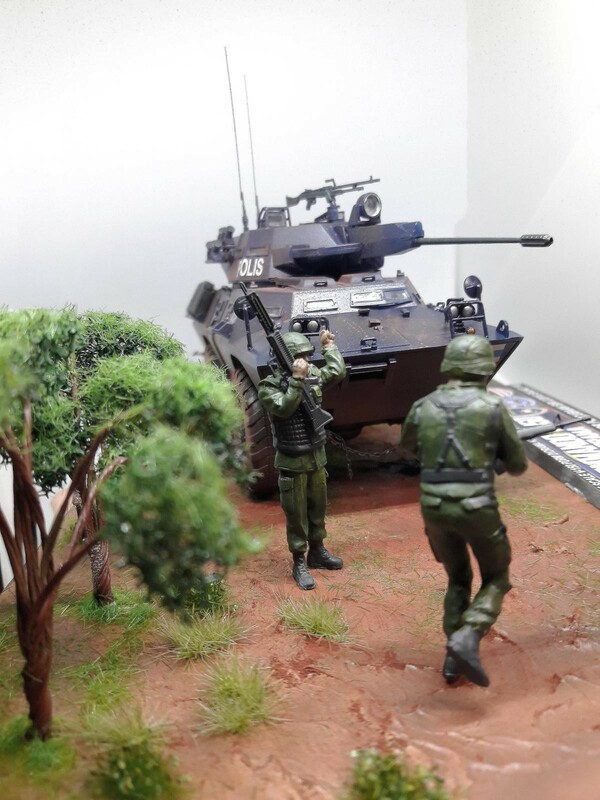 The diorama was built for a corporate gift. The build was straightforward no additional add-ons or conversion needed except for the relocation of the side jerry cans. 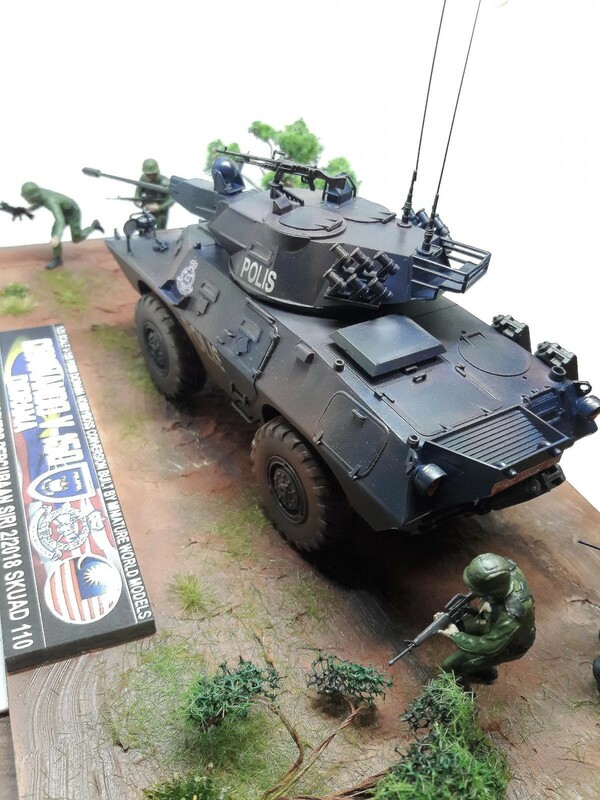 In terms of fitting and gaps Hobbyboss made a really good mold kit as the entire kit went along great nothing complicated and over engineered. 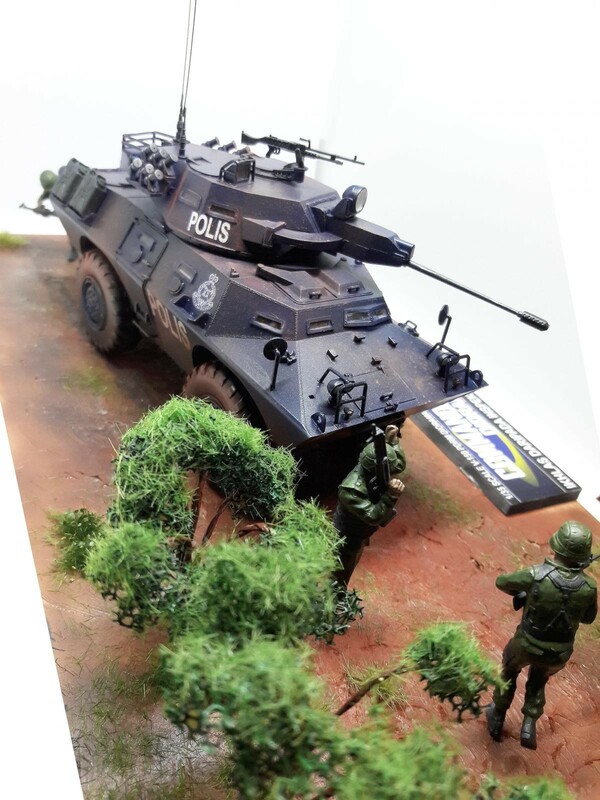 The colour scheme is dark blue which in this case I used the Mr.Color C-326 to replicate the real scheme. 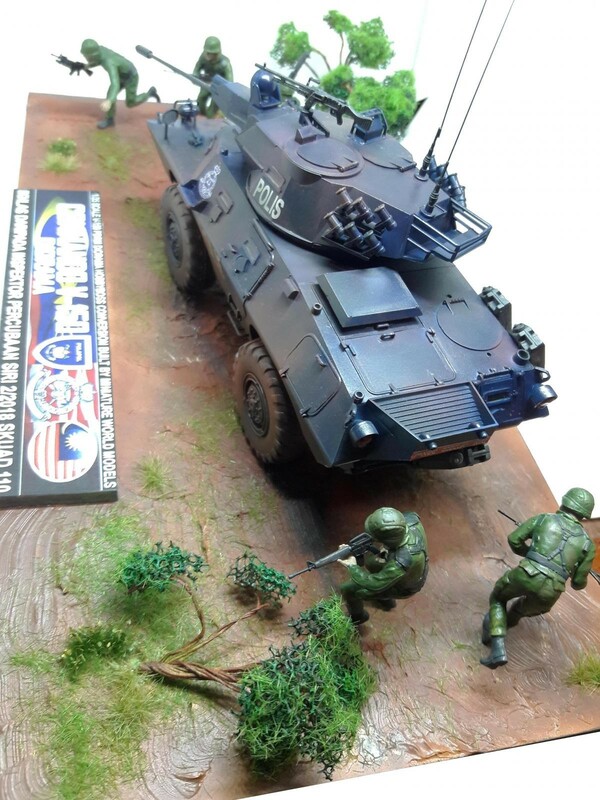 Tamiya 1/35 scale figures are added to the diorama to enhance the action mode of the build. 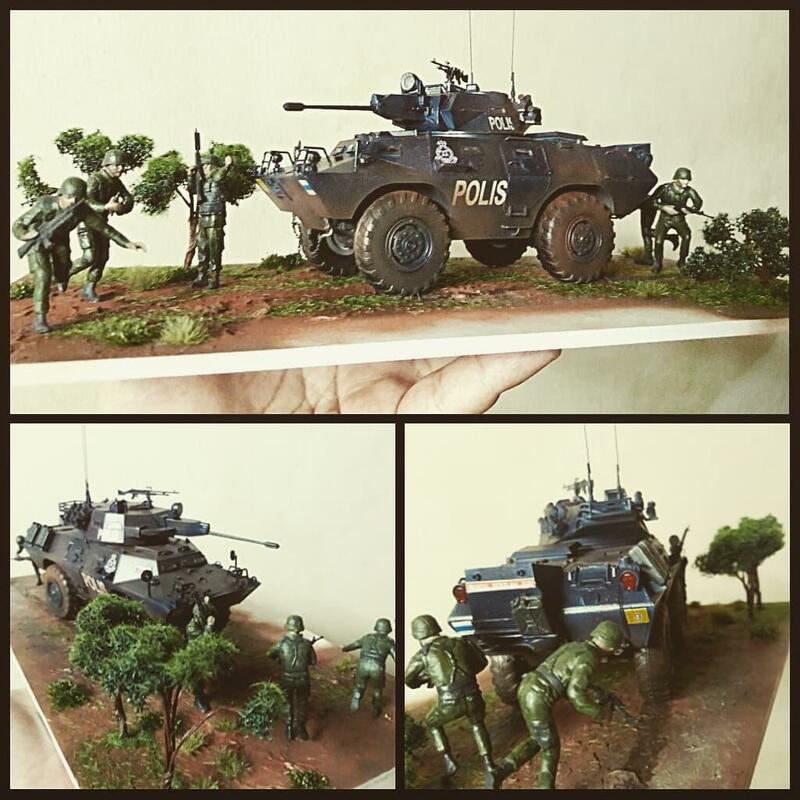 The base is made using modelling paste and vegetation to replicate red mud soil at palm plantation jungle terrain. 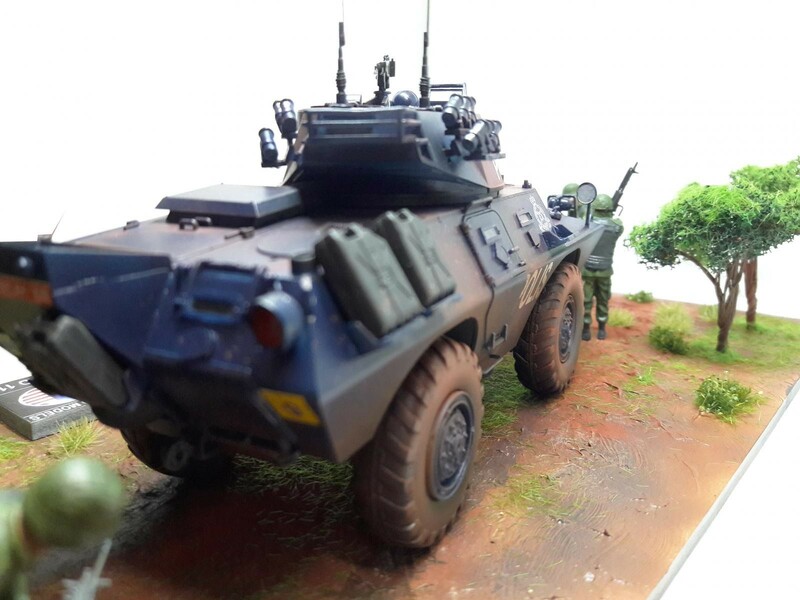 Overall it was a quick and basic build, I would do another diorama of the similar subject soon with more added details to the V-150 and surroundings.